A critically-acclaimed yuri manga series! 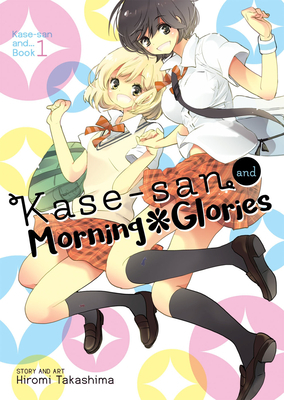 Kase-san and Morning Glory is the debut release of Hiromi Takashima’s ongoing yuri series about the first love, high school romance between the clumsy, flower-adoring Yamada and the exuberant Kase-san, the school’s track and field star. This multi-volume yuri manga series consists of standalone volumes that can be read in any order, making this the perfect edition for oneshot readers and series collectors alike. Hiromi Takashima is a yuri manga creator best known for her work on the Kase-san series of books.